HOTELS IN PUERTO PRINCESA, PALAWAN: Go Hotels, A Place for Every Juan in Puerto Princesa! 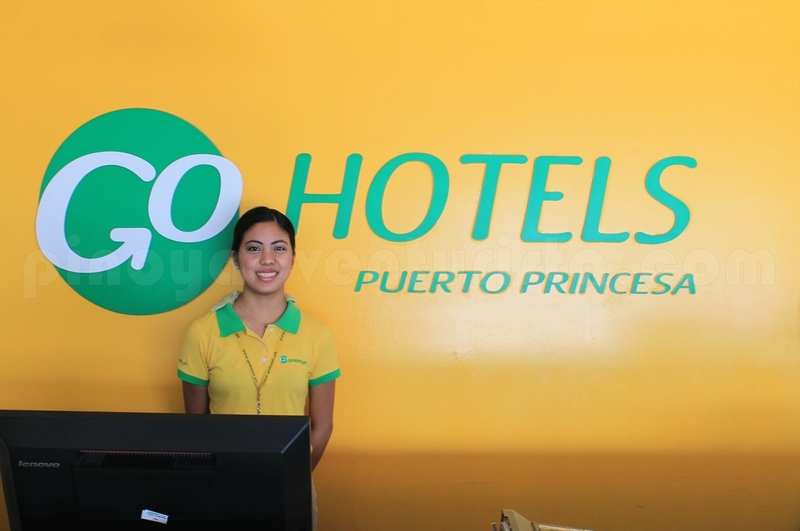 Now, there's every place for every Juan in Puerto Princesa! 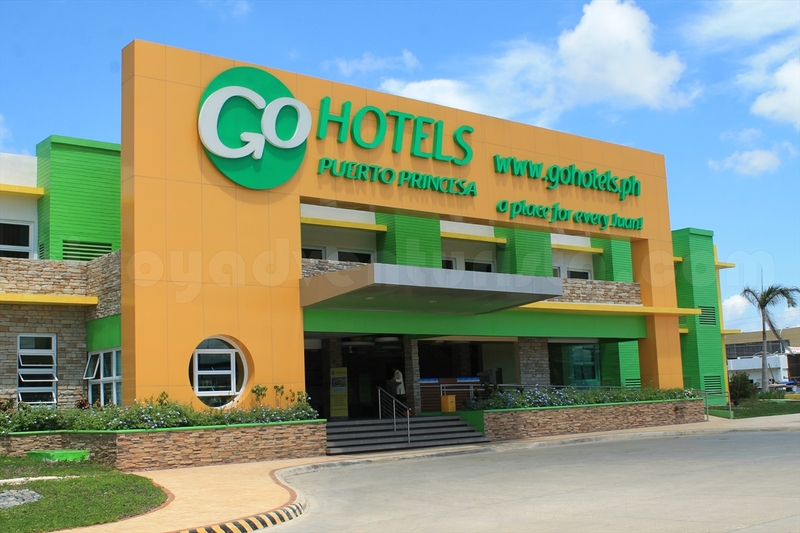 Go Hotels, a chain of budget accommodation offers a decent, affordable and "feel-like-home" ambiance is our home for 3 days in Puerto Princesa, Palawan. Located beside Robinson's Place Palawan, it is just 15-20 minutes away from the airport. Together with other travel bloggers we stayed here during the whole duration of our Puerto Princesa trip last week. Upon arrival, we were hospitably welcomed by the hotel staff and greeted us with a smile. Checking-in was a breeze. After confirming our reservation, we were given our key cards and were ushered to our rooms by their friendly staff. 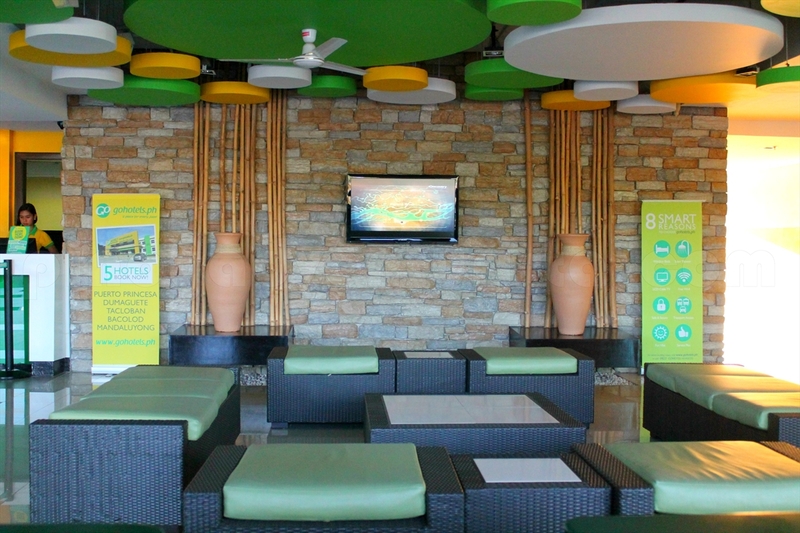 Their service is really commendable, I think they were trained to value their guests' needs. Go Hotels is not new to me, I stayed at their Tacloban branch last year, I already knew that I am up for a comfortable stay. As expected, the room is well-kept. Things are organized and clean. Its cozy and modern interior gave me an engaging feel. The lighting inside is adequate for the room's size. There were 2 single Windsor beds. 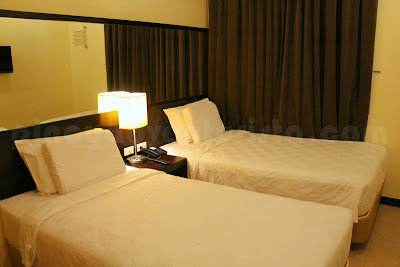 It has chiropractic and high quality non-allergenic pillows coupled with fresh and clean 100% cotton sheets. I hurriedly tried it and I feel like I just wanna lay here and sleep. 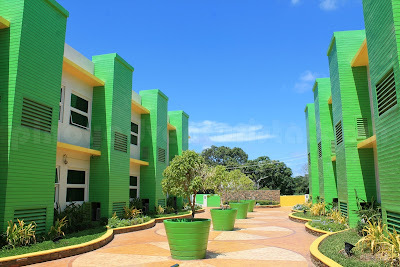 Each room has individually controlled air conditioning unit. So, adjusting it to your preferred temperature is not a problem. As I sneaked into the bathroom, I was impressed. For me, it is very important to have a bathroom that is clean. 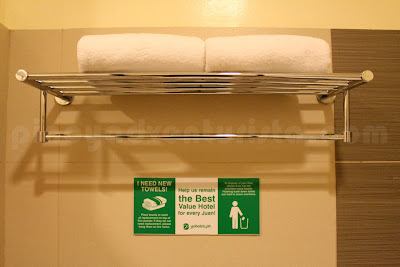 Go Hotels did not disappoint me, from the sink to the toilet bowl, to the shower enclosure, it's all clean. 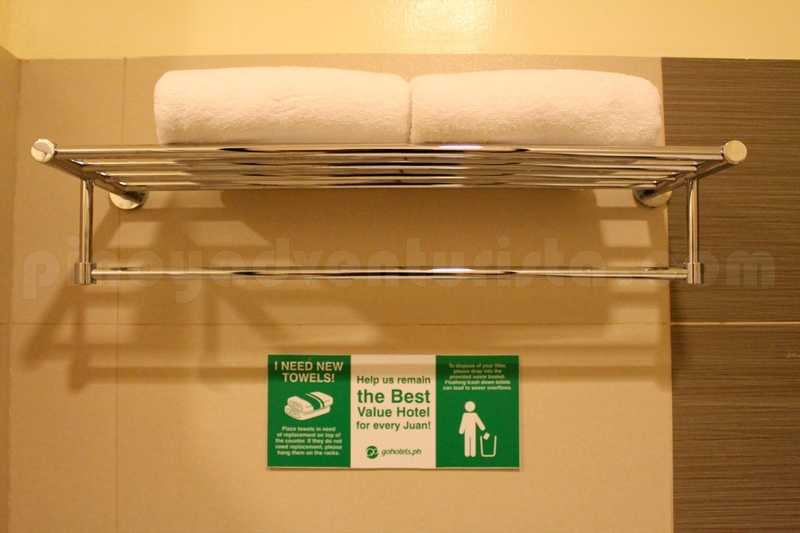 Toiletries such as shampoo and soap are also provided. Their towels smelled so fresh. I couldn't ask for more. And oh, I just love the rain head shower feature in the shower area! 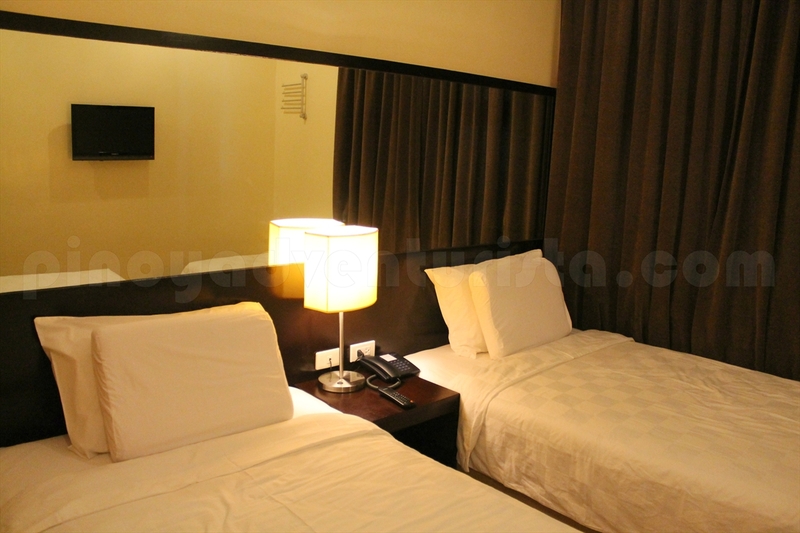 The room has the basic amenities. A foldable computer desk is just beside your bed. WIFI connectivity is also available inside the room, and it's for FREE! A 22-inch LCD TV with cable channels is available just in case you want to catch up on your favorite TV series. There's also a safety box for guests to keep their valuables. 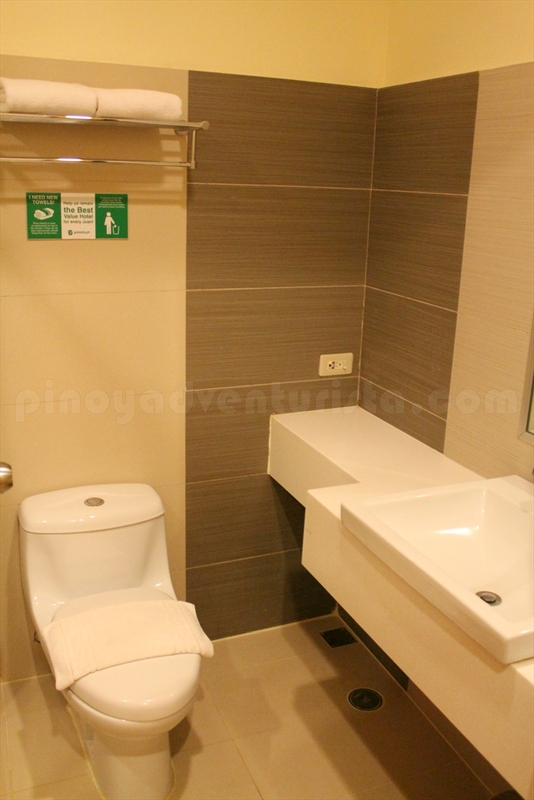 A convenience store, pasalubong/souvenir center, travel desk can be found in the hotel lobby. Free 24 hour parking facility is also available. 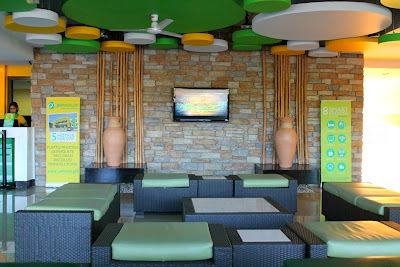 They also have a courtyard venue for parties and gatherings as well as a function room that can seat 25-30 persons. 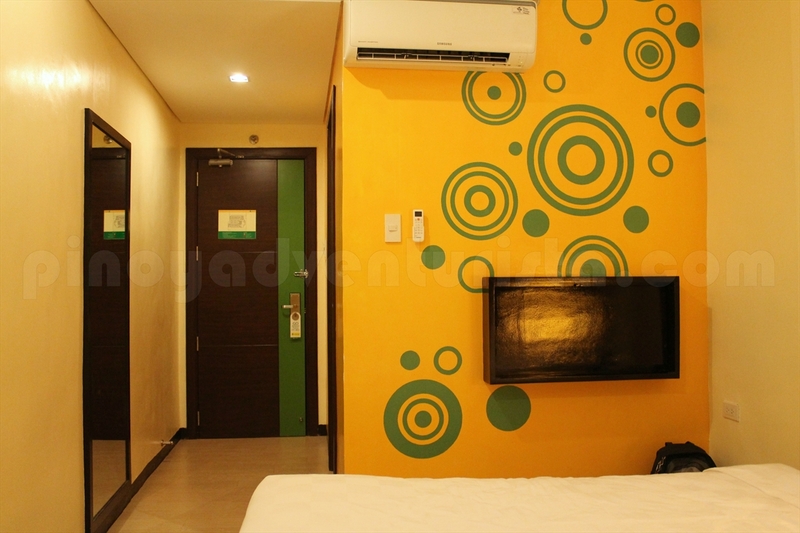 The hotel's awesome vibe, quality accommodation and the concept of getting a better and lower rate for booking early are just enough reasons to recommend it to friends and travelers visiting Puerto Princesa City. 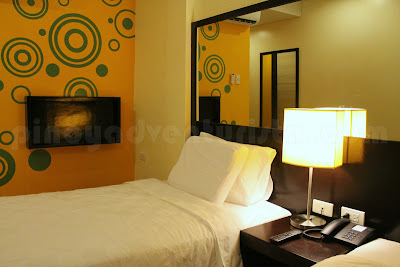 I truly enjoyed my 3-day stay as it gave me a comfortable sleep after each day of activities in Puerto Princesa. 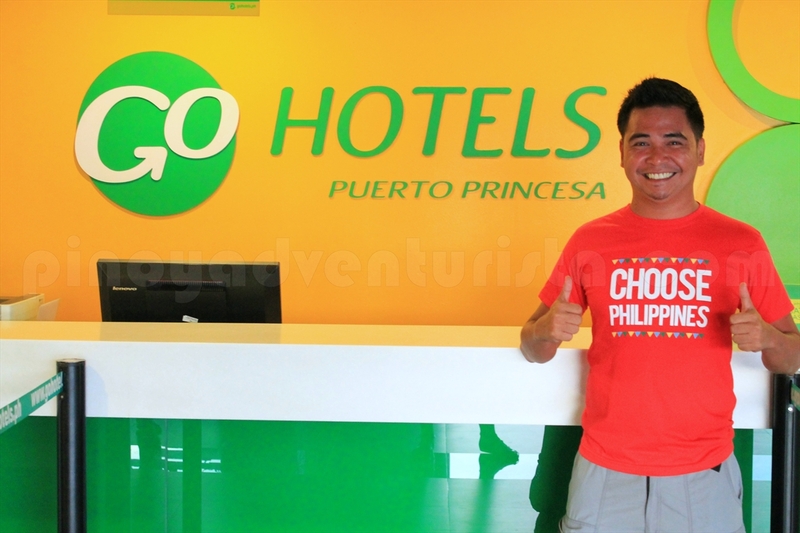 I'm giving my 2 thumbs up to Go Hotel Puerto Princesa! 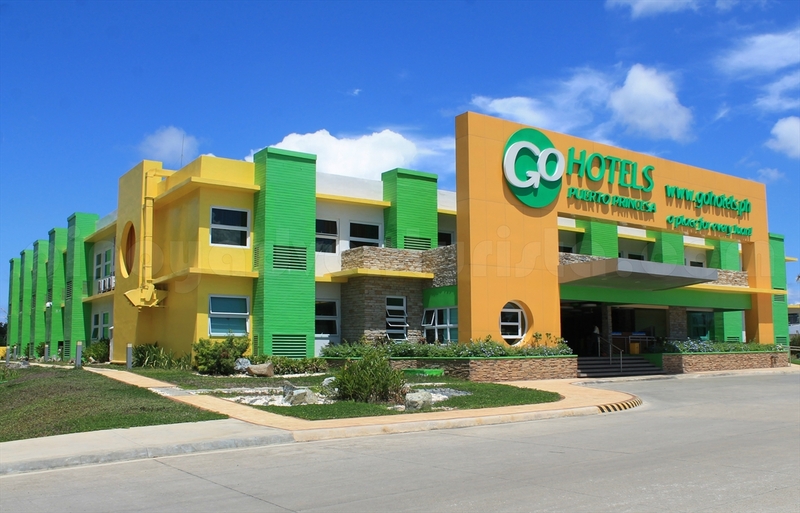 So, if you're looking for a nice and affordable place to stay in Puerto Princesa City, checkout Go Hotels! 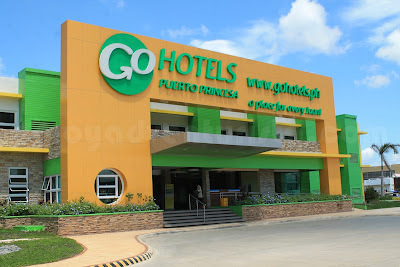 For inquiries, bookings, rates and promos, visit their website at www.GoHotels.ph or like them at www.facebook.com/gohotels.ph or follow them www.twitter.com/gohotelsph to get the latest promos and updates. if i only knew they were opening one there, i could have stayed there this past week. oh well, maybe next time.